The MSM internships in Prague bring together all essentials that young specialists require for their career. 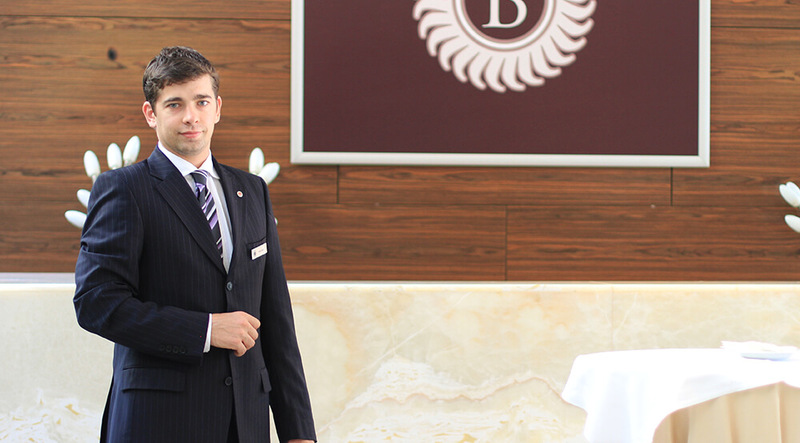 We offer a 1-month summer internship in hospitality business. The course will take place in the Association of Hotel Business in Czech Republic. Students will be offered employment in some of the best 3-4-5* hotels in Prague. This is also a great opportunity to gain English language practise throughout the course. Basics of travel business. Management in tourism – 32 hours. Practical trainings in the best hotels of the Czech Republic 3-4-5* – 16 hours. Students take a series of professional training sessions in different companies, depending on their chosen topic. Internship in tourism – students have training sessions in different hotels. Those include 5* brands, as well as 4* and 3* hotels, to receive a full overview of the tourism market in Europe. In each hotel students spend 3-4 days. At the end of the course students have a clear understanding of how hotels of different levels function and what is the real difference between how the business is done in different market segments. English language — theory and practice with native speakers – 32 hours. Students take an advanced English language course, which helps them boost their business communication skills. The language course takes place in MSM Academy. All teachers come from US, UK, Ireland and other native-speaking countries, which gives students authentic experience of English language. full information support and assistance throughout the stay. On the basis of long-term and successful cooperation with the World Class fitness centers the International Union of Youth has signed an exclusive cooperation agreement, so now all the students who will come to MSM summer program will have a free unlimited access to these exclusive fitness centers. World Class fitness includes: a gym, a swimming pool, a whirlpool, a sauna. We recommend this program for all students and young people, wishing to gain additional professional experience, to pass training abroad, improve current professional and language skills, and also all those who would like to spend unforgettable time in the center of Europe! After training you will receive a certificate in “Basics of travel business. Management in tourism”.